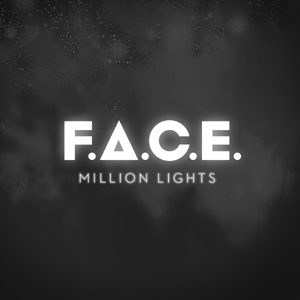 F.A.C.E. is a trio from Tromsø, Norway, consisting of Per Kristian Trollvik,Paulo Velasquez and Øivind A. Sjøvoll. Hailing from such diverse projectsas prog-pop-band 22, hardcoreband Turdus Musicus, and the electronica project Kohib. However when gathered, the only matter at hand is unpretentious electro-pop and a salute to everything fun! F.A.C.E. established themselves with their debut album Triplets last year, showing both pop-strength as well as depth and know-how.A new EP/mini-album is due in the autumn, but overcome by the pure joy of being in thestudio working on new material again, the summer-pop goodie Million Lights soon materialized. F.A.C.E. has turned the pop-dial to 11, so press play and dance!